Ready to get back to nature and chase a PR at the same time? 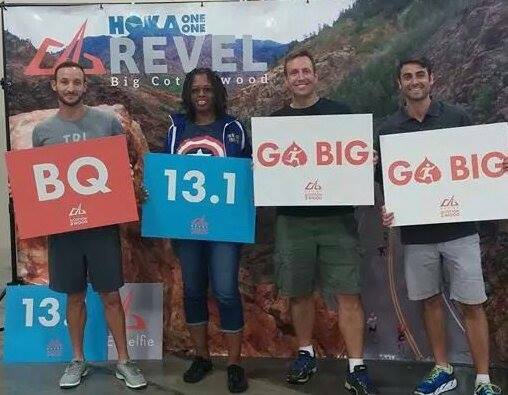 If so, then look no further than the REVEL Big Cottonwood Marathon/Half Marathon. 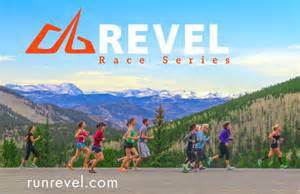 As the flagship race in the new REVEL series (also includes the REVEL Rockies and REVEL Canyon City races) this scenic downhill course is situated in the mountains just outside of Salt Lake City. Although a relatively new race, Big Cottonwood has already earned a reputation as a well-run event and also serves as a prime Boston qualifier. This year’s race sold out and drew in excess of 2500 runners for the half marathon and over 1500 participants for the full marathon. Registration costs for Big Cottonwood are quite reasonable in comparison to other races. The price for the half marathon started at $74.95 going up as race day approached and ending at $94.95 ($94.95 – $114.95 for the full marathon). They do offer easy-to-redeem breaks as the Facebook discount will save you $5 and signing up for a team (minimum of 4 members) will knock an extra fivespot off of the cost. Another nice thing to note is that Big Cottonwood does NOT have any registration/processing fees (unlike many other race series… you paying attention Rock ‘n’ Roll). Big Cottonwood also has a great transfer/withdrawal policy. Almost up until race day, runners can transfer their registration to another runner for only $5. You can also switch from the half to the full (or vice versa) for only $5 (plus the cost difference between the half and full should you decide to go from 13.1 to 26.2) And if for some reason (injury, conflict, life gets in the way) you need to withdraw from the race, you aren’t forced to forfeit the entire amount (like many races)… instead you can withdraw for a very reasonable $10 fee. Packet Pick-up for the race was easy as the expo was held at the South Town Expo Center, located about 10 miles from the finish line. Parking at the expo center is free and it only took a few minutes to walk up, show my ID and get my bib, tech shirt and swag bag (which also doubles as your gear check bag, complete with personalized name tag). 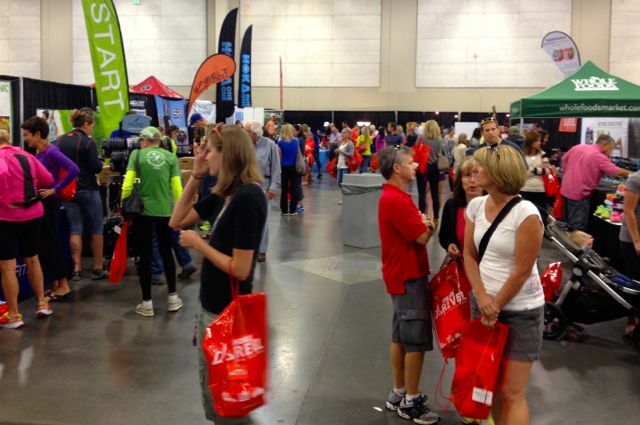 As for the expo itself, it featured a decent array of vendors and you can pick-up some pre-race supplies and goodies. There were also scenic backdrops available and message signs to hold for those who wanted to snap a few (or multiple) photos. Since the start line for both races is located way way way up in the mountains, racers park at one of several lots near the finish line and can take the provided buses to the summit. Since I stayed at one of the race recommended hotels in town (which worked out very well) I boarded a bus at the appointed time at the hotel (early o’clock) and it took us right to the starting area. No muss, no fuss. Kudos to REVEL for providing excellent runner’s swag. As for the tech shirt, it was a very straightforward yet stylish two-colored (orange and light grey) shirt featuring the Big Cottonwood logo on the front and sleeve, and sponsors listed on the back. The shirts were gender specific and you had a choice between short-sleeve or long-sleeve (a great option). Something worth noting is that larger teams were able to have additional special race shirts designed by race officials (they were differently-colored variants of the regular shirt with the team names printed on it). As for the medal, the race officials kept it under wraps until racers received it at the finish line. And it was certainly worth the wait. This may very well be the coolest race medal I’ve received to date (and I’ve got ooddles). The medal itself is a large circular contoured design with the race’s logo carved out with negative space and also featuring the race name, date and distance (half or full). The ribbons were differently colored (blue for the half marathon and orange for the full marathon) and featured the name of the race imprinted on the ribbon. It really is a sweet piece of bling. Big Cottonwood provides free digital race photos for all of the entrants (very much appreciated). Photographers dotted the course, snapping shots of runners as we darted down the mountain. And while there could have been a few more photographers on the course (and been better identified) I still figure I’ll receive numerous shots of me flashing the old “thumbs up.” Another cool freebie is that runners will be able to pick photos from their digital stash to have incorporated into a personalized video which presents highlights from the race and shows your finisher stats. And the swag doesn’t end there as each runner also received a mylar blanket and throwaway gloves in their bag, which was a nice touch and certainly came in handy as we waited up on the mountain (where it was rather chilly) for the race to start. For many people, the course is the main reason to run Big Cottonwood. Put simply, this is a gorgeous point-to-point downhill course… and it is fast. Runners of the half marathon will decline almost 3000′ from start to finish, while full marathoners will drop over 4000′. This course is primed for people to earn PRs and since it is USATF certified, it’s also a great place to qualify for the Boston Marathon. The marathon course begins at over 8700′ elevation near the Brighton Ski Resort, while the half marathon starts further down the mountain. The full and half marathon courses wind their way down the mountain giving runners an incredible unspoiled view of the region. 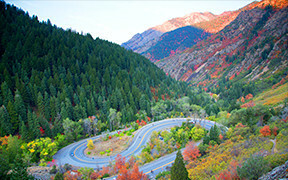 At the bottom of the mountain canyon, the marathoners peel off to do a several mile out & back along Wasatch Blvd. (I heard this was a tough stretch), while the half marathoners continued straight on (for their final 3 miles) into the city of Cottonwood Heights. Both races finish at the same place. If you’re looking for a race with a lot of natural beauty, then Big Cottonwood should be on your race bucket list. Just imagine running down an unspoiled mountain road with magnificent looking forests and creeks running along side the course. On more than one occasion I looked up at the mountains and simply thought “Wow.” I even saw posts from multiple marathoners who said they saw a moose just standing on the side of the road watching them go by. It’s one of the few races that I regret not bringing a camera because the views were that incredible. Then again, I was also trying to PR, so I didn’t exactly have time to stop and admire the scenery as long as I’d like. NOTE: While the race reminds you time and again that Big Cottonwood is a “downhill” race, you don’t realize how downhill it is until you’re actually running it. For those people who run at a consistent pace, my advice is to be flexible. At times you’re probably going to find yourself going faster than normal, but it’s perhaps better to pace yourself based on exertion level as opposed to time. And while a downhill race seems like a dream, remember it does come with trade-offs. The high altitude/thinner air can impact your endurance. I myself got an “altitude headache” the night before the race (a common occurrence I was told). Also, you need to pay extra attention to hydration before and during the race (you’ll need to drink more). One other thing to note is that the downhill running will impact your muscles (especially your quads) differently than running on a flat course. Hill training is important to prepare you for the race itself. And since the final three miles of the half marathon (and marathon) are much flatter, you need to make sure you don’t burn yourself out on the hills by going too fast. Oh, and prepare to be sore (really sore) the next day or two after the race. Going down stairs the day after the race proved to be a bit of an adventure for me. REVEL did a good job as a whole with the course services for the race, especially since the majority of the race was way up on a mountain far away from civilization. Kudos to the race for having the best runner to porta potty ratio at the start that I’ve ever seen. The race had water, Powerade, Gu and other goodies (loved the Jolly Ranchers) situated at intervals along the course and a good number of volunteers manning them, which is impressive when it comes to the logistics of shuttling all those people and supplies up a windy mountain road. There were also several medical stations/services on hand. Runner tracking was also available to let your loved ones down below know how you were fairing during the race. The one recognizable glitch on the course was the placement of the mile markers. While the course as a whole was the proper length, the mile markers weren’t positioned correctly. For the half marathon, the first mile marker appeared a .8 miles and they were typically a good tenth to almost two tenths of a mile off for the whole race, which did impact some runners’ (myself included) pacing. The race director assured me that the problem will be fixed for next year. 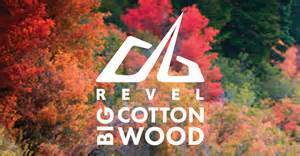 The REVEL Big Cottonwood promised a good post race party and they certainly delivered on that end. There was enough food at the finish to satisfy even the hungriest of post-race cravings. In addition to standard snacks (oranges, bananas, chips, water and Powerade) they also had some surprise treats like pizza from Papa John’s (pizza never tasted so good), mac ‘n cheese, fruit bars from Whole Foods and cups of soda (which is great for a Diet Coke junkie like me). In addition, runners were treated to ice cold towels (which more and more races seem to be adopting) and each racer could print out a individualized card with your race results (no waiting until the afternoon to find out how you did). The finish line festivities also included some vendor tents and another chance to pick up race merchandise/goodies. I took advantage of the free post-race massage which is probably the only reason I was able to walk at all the next day. Good stuff. Oh, and a shout out to the wonderful residents of Cottonwood Heights. They turned out in huge numbers to cheer on the runners as we trekked through their town and made us all feel very welcome indeed. I should mention that I am one of the race ambassadors for the REVEL race series, but that said, I had an absolute blast at Big Cottonwood and I heard similar compliments from nearly every runner I spoke to. This is a very well organized event with a lot of really nice touches that sets it apart from many of the other races. It really was a pleasurable experience from start to finish with only a few hiccups. And I can’t say enough about the course and how fast and pretty it is. You really need to see it and run it for yourself. 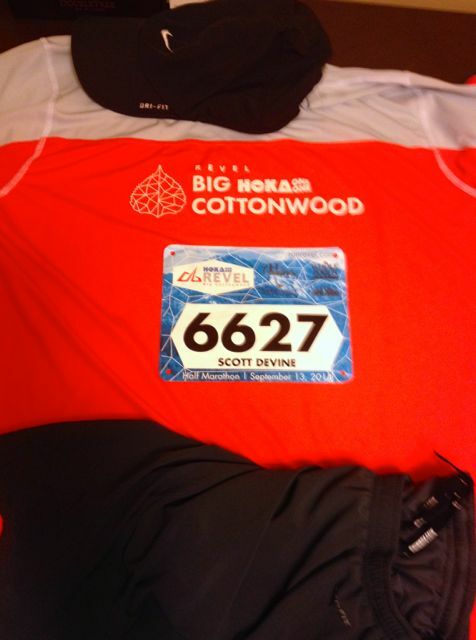 I plan to make Big Cottonwood one of my annual races… oh, and I need to remember to do some more hill work beforehand. 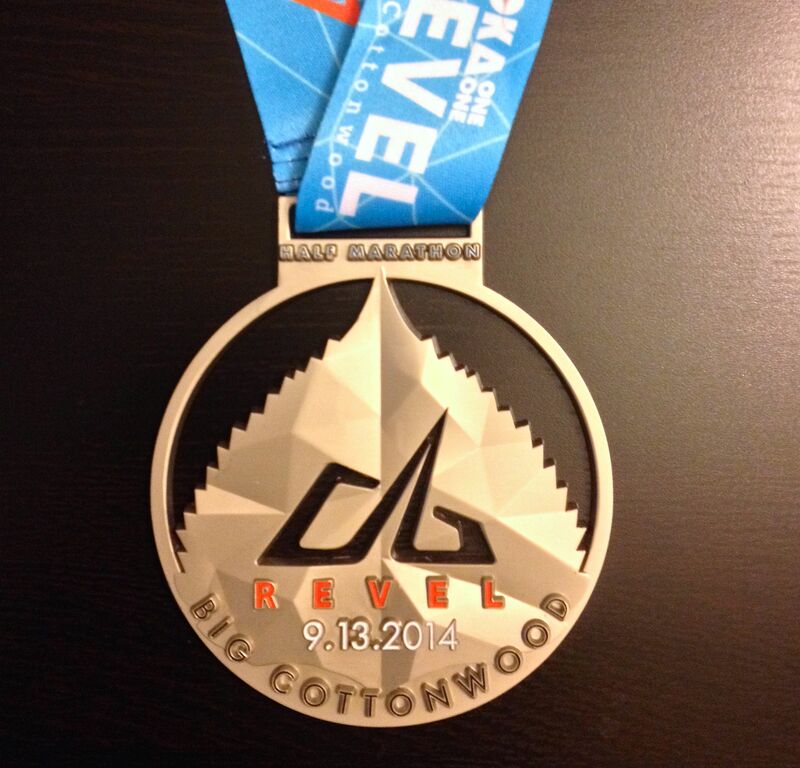 Posted on September 16, 2014, in General, Race Review, REVEL Race Series and tagged Revel Big Cottonwood. Bookmark the permalink. 5 Comments. I really want to run this now!! 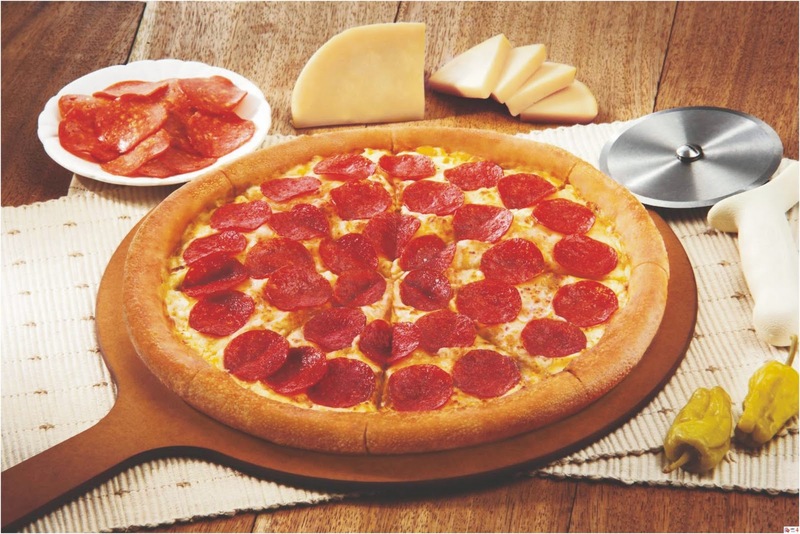 It was a great time; you’ll absolutely love it. But heed my advice and do hills (up and down… especially down) ahead of time to prep your muscles for it. Great review! As a participant in the marathon, I can tell you that this was one of my all time favorite courses, and quite definitely the harshest on my body of 14 Full’s that I have done. By far! I enjoyed your race review as well (and a bunch more pictures from the race). I can’t believe how sore I was after the race (I’m still struggling going down stairs). I hurt more after the half marathon than any of the full marathons I’ve done… of course, totally worth it, right? But I’m definitely going to do more hill work to prepare for Canyon City so I don”t spend the next two days hobbling around like Robocop. I am finally starting to feel better. Yes, it was all worth it! All of the pain, it means we worked hard.